Has your pet been diagnosed with Diabetes? Animal Eye Clinic is now offering free INITIAL ophthalmic examinations to diabetic patients! Click here to learn the details! Animal Eye Clinic is a specialty referral service that focuses on the visual needs of your pet. Each of our facilities are equipped to provide a full range of veterinary ophthalmic care. We provide small incision cataract surgery, corneal repair, glaucoma procedures, eyelid reconstruction and repair, intraocular prosthesis, laser surgeries and much more. We are available for ophthalmic emergencies. As a referral practice, Animal Eye Clinic does not provide ancillary health services. A specialty practice is designed to be an extension of the services offered by your regular veterinarian. 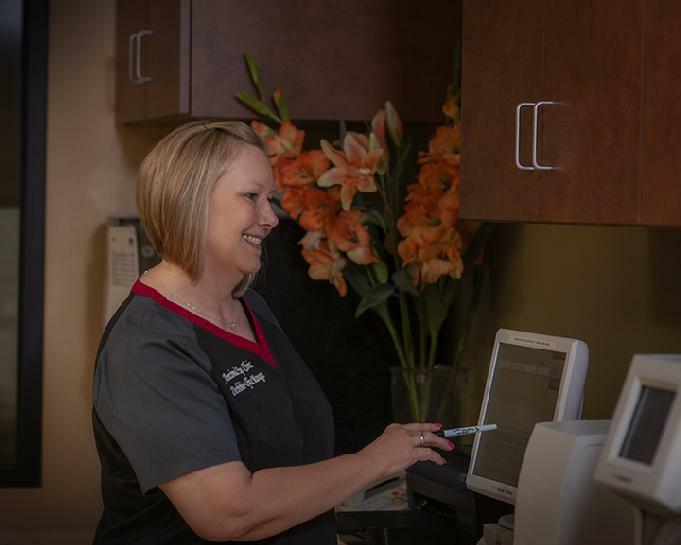 Animal Eye Clinic has been serving the Dallas/Fort Worth metroplex for over twenty five years. We strive to improve our patient's quality of life through changing how they see their world. Animals, like humans, suffer from vision threatening eye diseases that need medical intervention, and we take that need seriously. 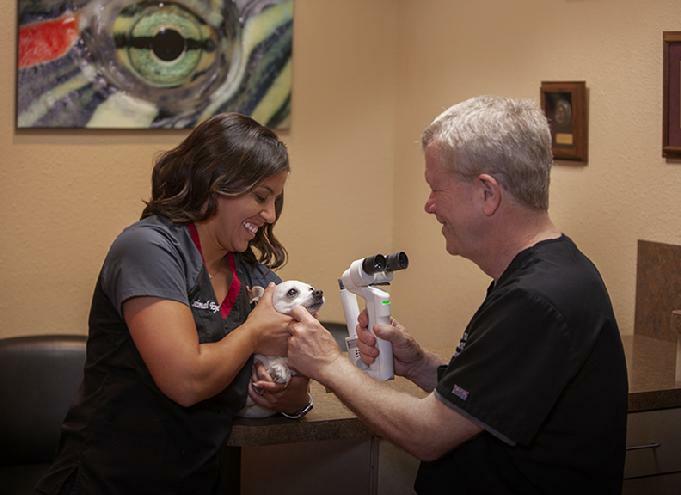 Animal Eye Clinic focuses on providing ongoing training, and educational opportunities that will build upon our staff's existing knowledge and skills to help better serve our clientele, patients and referring veterinarians. To better serve you, Animal Eye Clinic performs most labwork in house. The American College of Veterinary Ophthalmologists (ACVO) was established in 1970 and is the American Veterinary Medical Association (AVMA) - sanctioned specialty board which sets the standards for advanced training and board certification in veterinary ophthalmology. Approximately 1/3 of the Diplomates (or members) of ACVO are engaged in private practice and accept cases on a referral basis from general veterinary practitioners. The remaining 2/3's are employed by academic institutions, such as the College of Veterinary Medicine at Texas A&M University where they teach veterinary students, perform research, and conduct clinical specialty practices in sophisticated veterinary teaching hospitals. The goal of ACVO is to promote the highest level of professional competency in veterinary ophthalmology. To meet this goal, the ACVO establishes certification standards and procedures as well as administers examinations to qualified veterinarians aspiring to become Diplomates (members) of the ACVO.